Gorgeous brand new ‘chofa’ in a lovely shade of light dove grey, $1,295. 122×65. Pillows included. This will NOT last long….white media unit, $165. Yes, just $165! I repeat, WILL NOT LAST LONG. 72×15.5×58 Phone orders accepted, call 910 679 4302. Queen size headboard in ocean blue, $225! Shell prints have sold, sorry. Retro style 26″ barstools just $65 ea. We have TWO of these root maze dividers, $595 each. Four brand new pearlized white barstools with silver nailheads, $145 each, sold in pairs only. 30″ seat height. Simone Pearce glass lamp, $125. Retails for $325. Nice wooden desk by Havertys, $495. Save HUNDREDS. For your summer relaxing…lovely white cast iron patio set. Settee, $175. Side chairs, $95 each. Side tables, $75 each. Wooden oval table, $595. 66×48. Can be a 48″ round without 18″ leaf. Shown with the cutest slipcovered chairs with bow back detailing… four available, $195 each. 18″W. Just in… pair of yellow twill club chairs by ROWE! A great buy at $275 each. White cabinet with natural capiz shell doors, $325. 24″ counter stools, $72 each. Use this Ethan Allen console as a trunk or media cabinet. $245. Modern in style…coastal in color! Cobalt settee $425. 49″ wide. Chair $295. Pottery Barn pillows, $25 ea, two available. Pretty light grey tweed chairs! garden room! $450 ea. In like new condition. 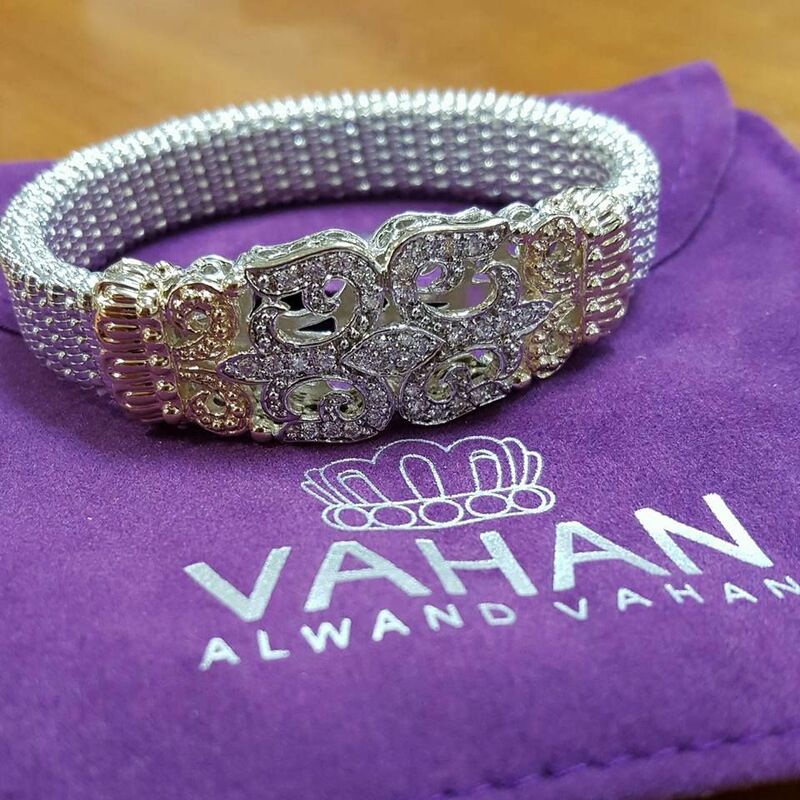 Lumina Gem is having a silent AUCTION for this lovely Vahan piece. Retails for $6,625. 100% of purchase will go to First Tee in Wilmington, NC and Caddy for a Cure. Starting bid of $2,000 has been already been placed. Call 910-256-1850 to place a minimum $50 increment bid to win this gorgeous bracelet. 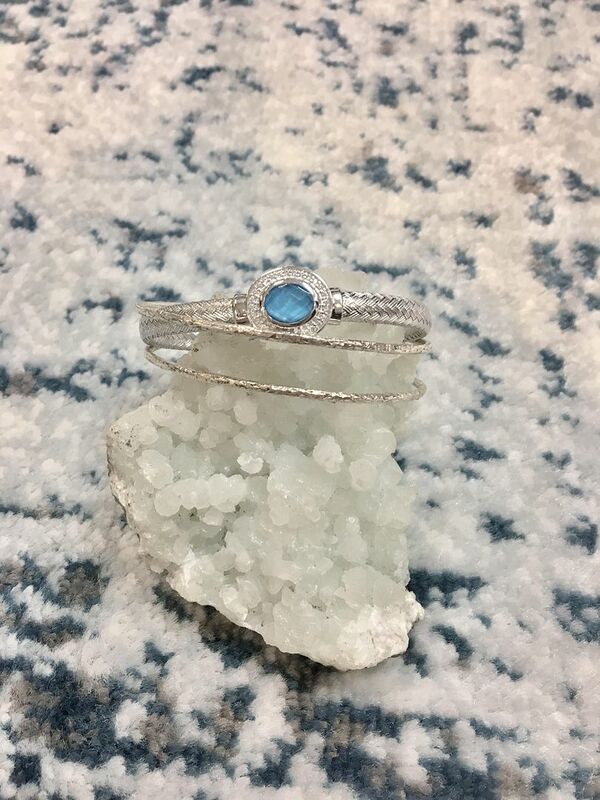 15mm blue topaz Waverly cuff $1,995. 9mm hematite Ostera bangle $995. 9mm classic two tone bangle $795. 7mm onyx two tone cuff $475. To all the lovely ladies that love pearls and who were born in June, we have a special for you! 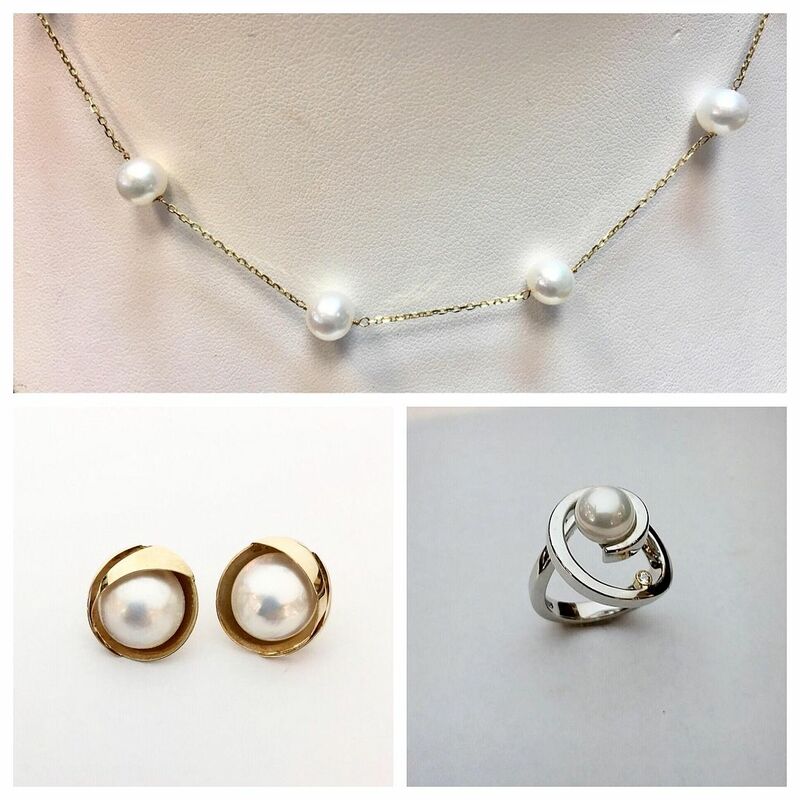 All pearls and mother of pearl jewelry is 10% to 50% off. 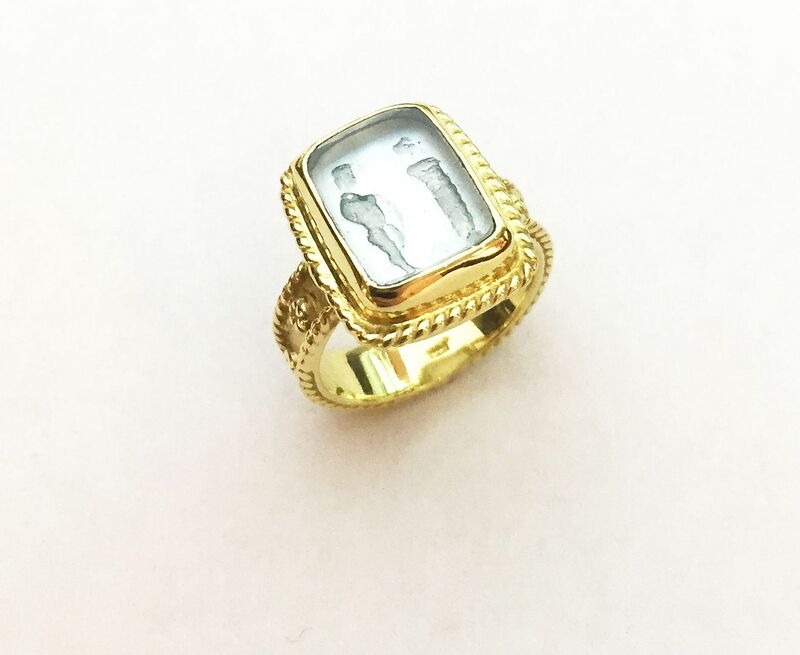 This Raymond Mazza mother of pearl and Venetian glass intaglio depicts a Roman scene set into 14ky gold. Price is 50% at $765. Consignor Reduced. Natural Tahitian pearls for only $1,595. 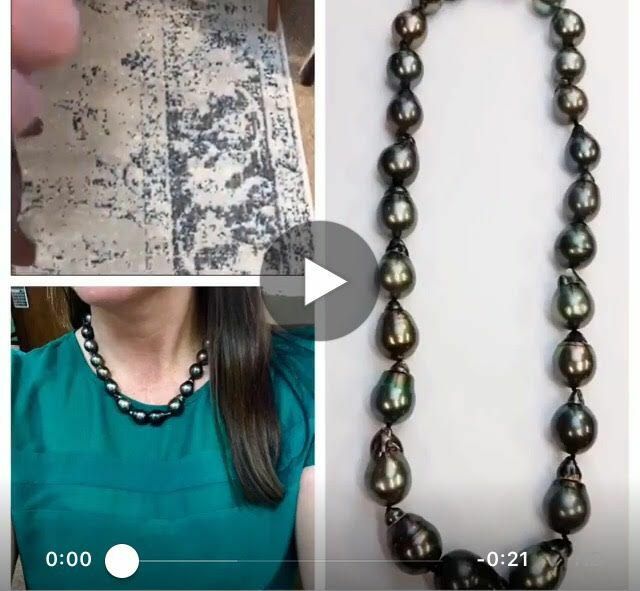 Click the video to see these gorgeous strand of pearls. Rolex pearlmaster diamond with mother of pearl dial in 18kw solid gold case and band, sale price $22,000. Baume Mercier diamond mother of pearl dial stainless steel, sale price $1,765. 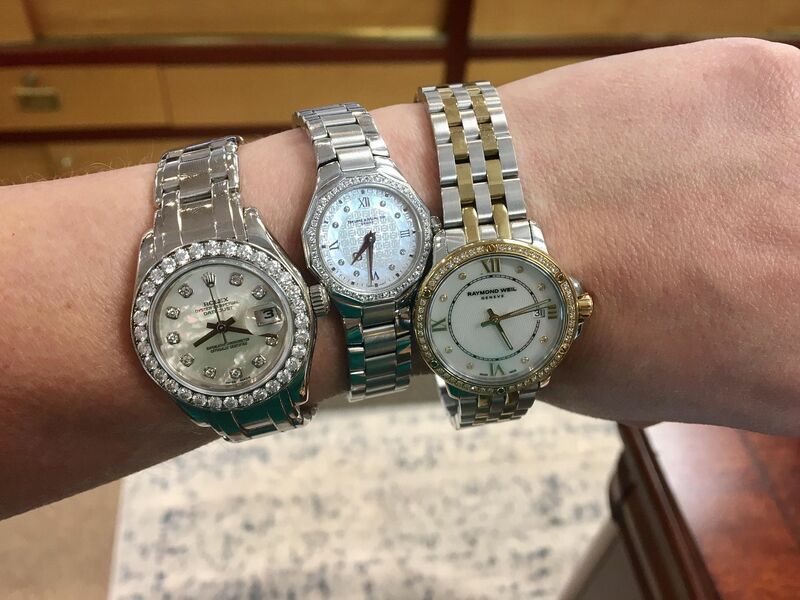 Raymond Weil two tone diamond watch with mother of pearl dial, sale price $1,035. 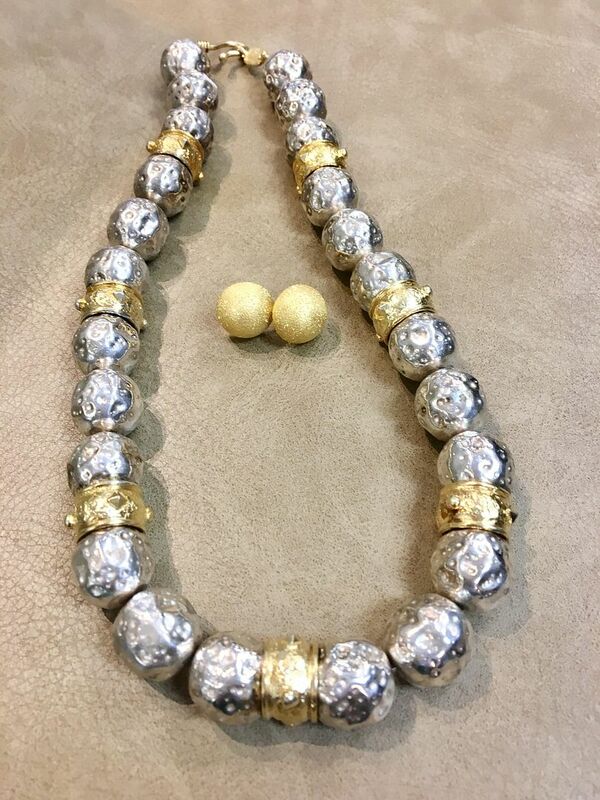 6.75mm, tin cup 11 station 14ky gold, 16 inch necklace, sale price $235. 15mm mabe pearl 14ky gold studs, sale price $235. 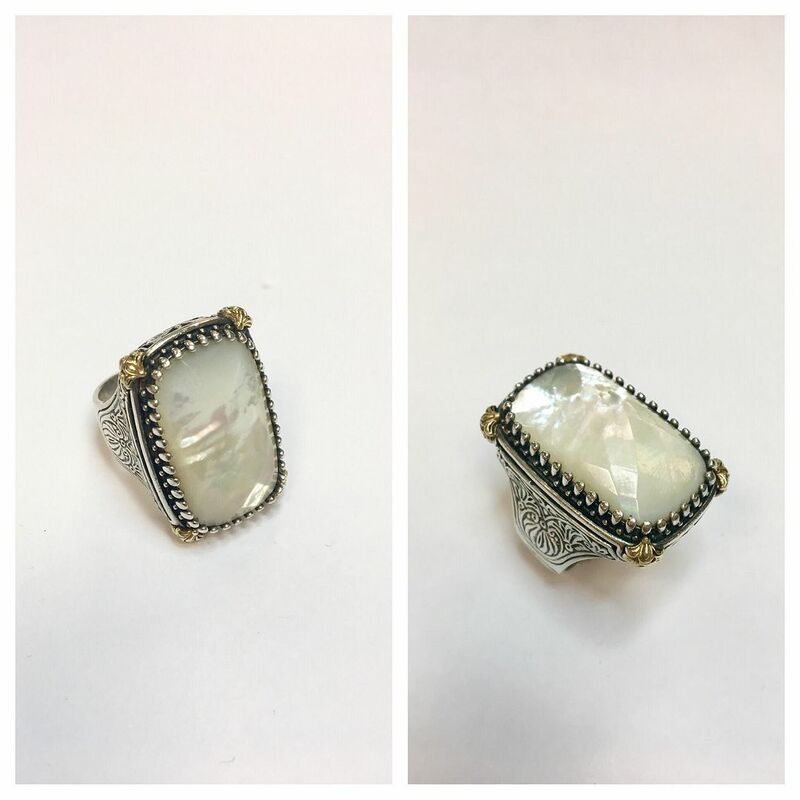 Frank Reubel pearl and white sapphire sterling silver ring, sale price $175. This piece of art is truly one of a kind by designer Luna Felix. Opalized petrified wood and pearl in 22ky gold with hand applied granulation on the gold. Retails for $20,000 we have it for $10,320! 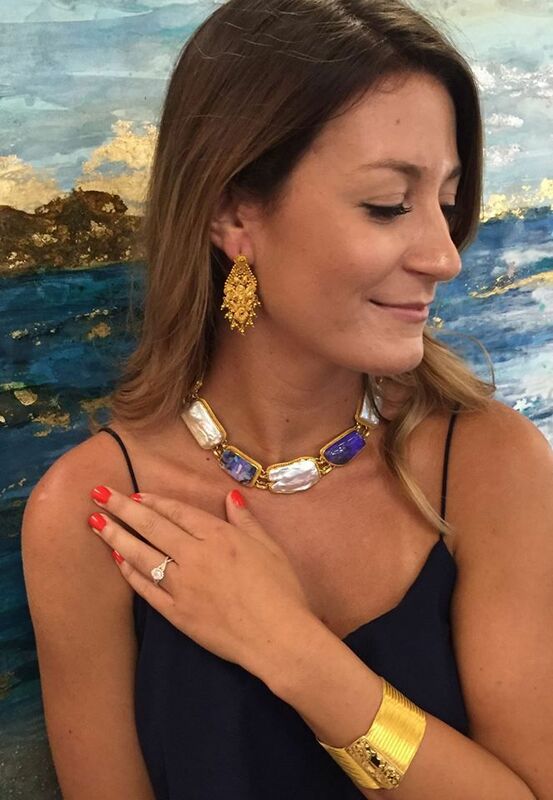 Look at this beautiful necklace on our sweet model, Lauren. in this picture for $3,995. 71grams of 22ky gold antique bracelet. 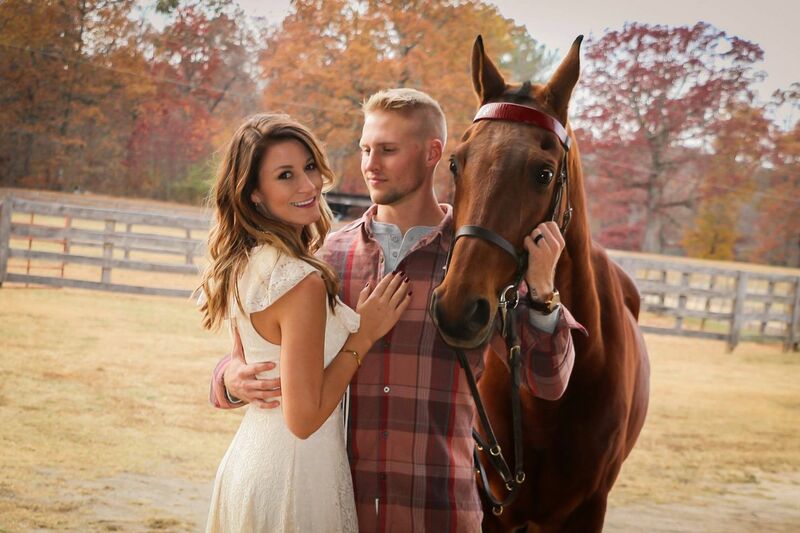 Congrats to Lauren and Tyler. Have a fabulous WEDDING weekend. Isn’t she lovely? We are so excited for you both! 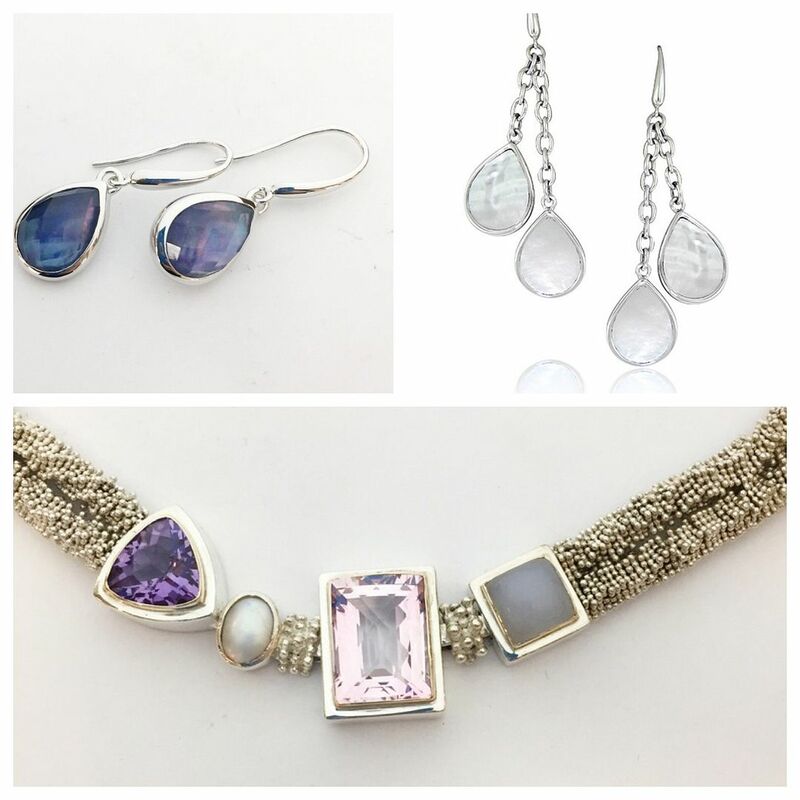 All designer pieces with pearl and mother of pearl are 20% OFF! Top: Charles Garnier dangle mother of pearl in sterling silver sale prices starting at $95. Bottom: Michael Hawkins Rose De France amethyst, chalcedony and pearl bracelet, 7.5 inches. Sale price $315. 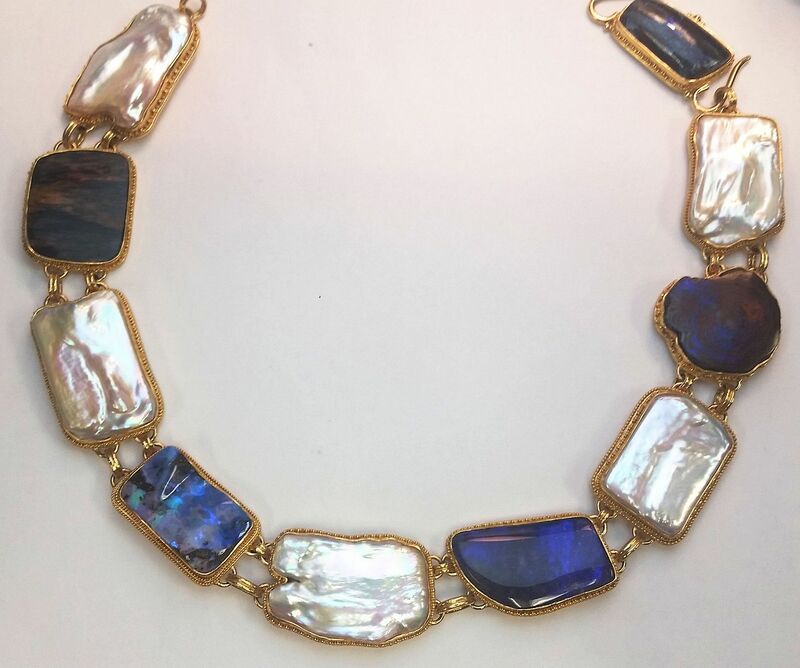 This designer piece from Konsantino is set with a mother of pearl and is on sale for only $435. Just IN! 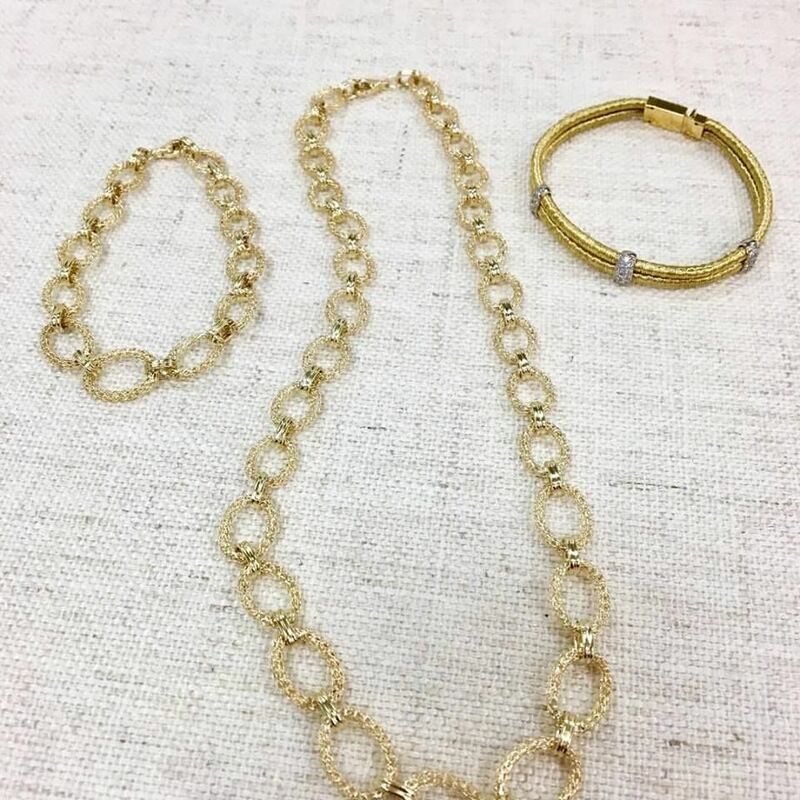 These fantastic gold pieces. Looking for truth and enlightenment? 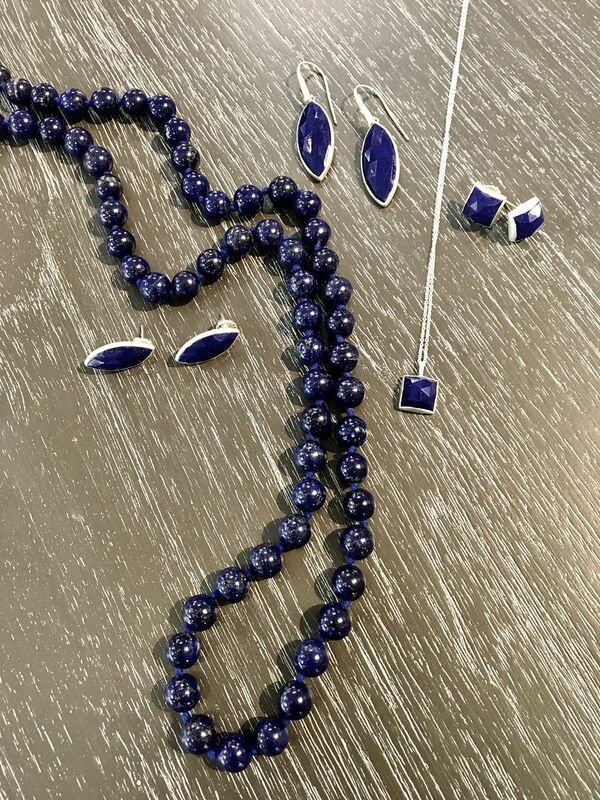 Lapis is known to bring its owners a clearer perception about life and relationships. The prices here range from $75 to $350. and check out the prices! 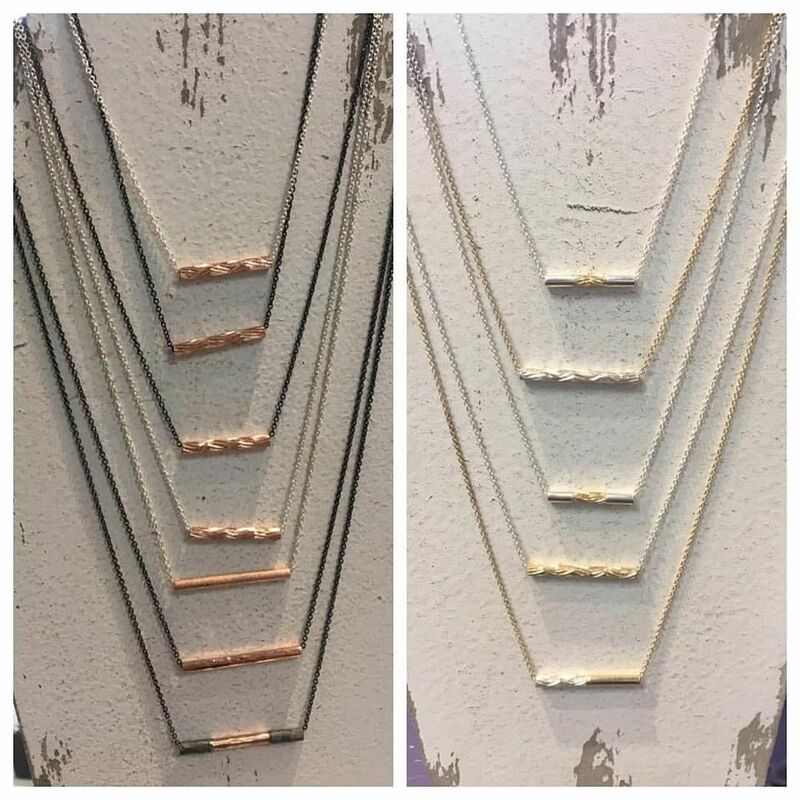 Sterling silver two tone necklace $160. 14mm stardust, Charles Garnier gold overlay studs $55. Charles Garnier turquoise bangle $395. 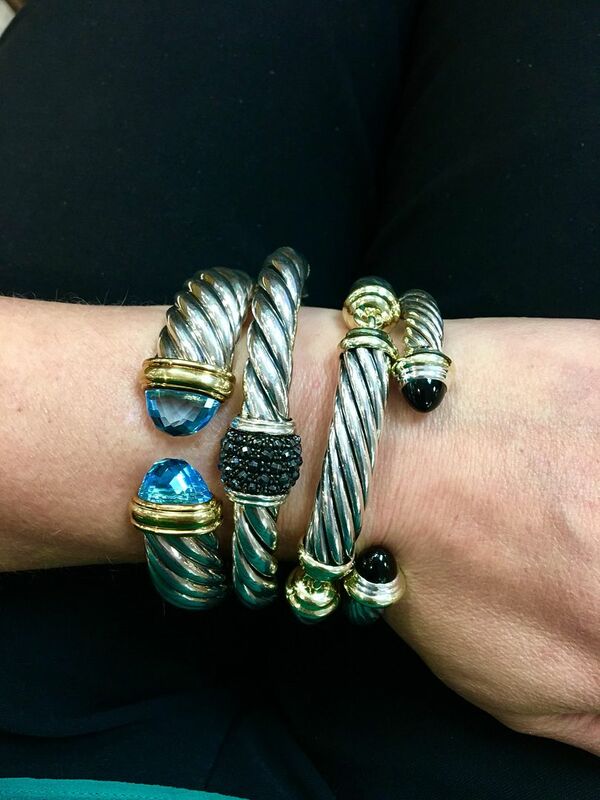 Pair with two Nina Nguyen sterling silver bangles for $145 each. Perfect Father’s Day gift to support the local Carolina’s and the planet. Made from recycled plastic this high carbon, stain-free steel blade is a shuckers dream come true. 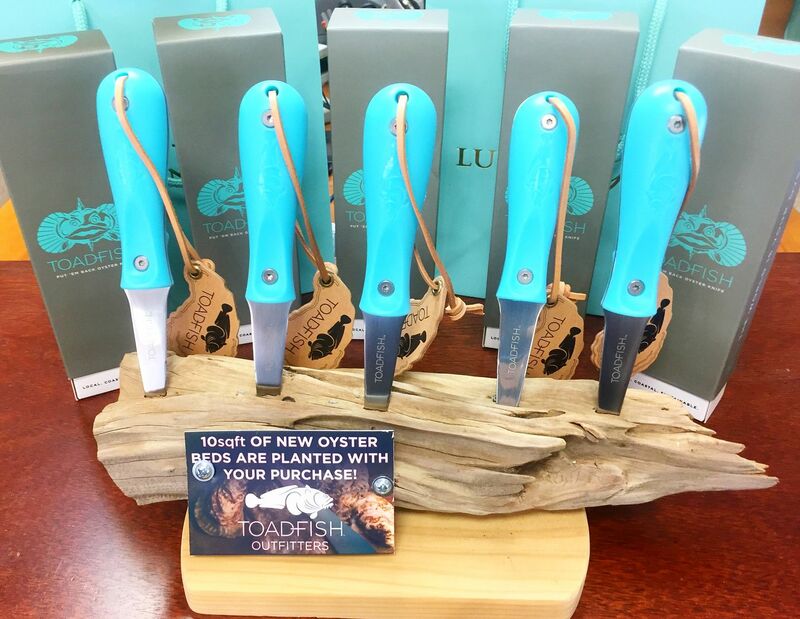 Ergonomic slip free turquoise handle and for every piece sold Toadfish plants 10 square feet of new oyster habitat. 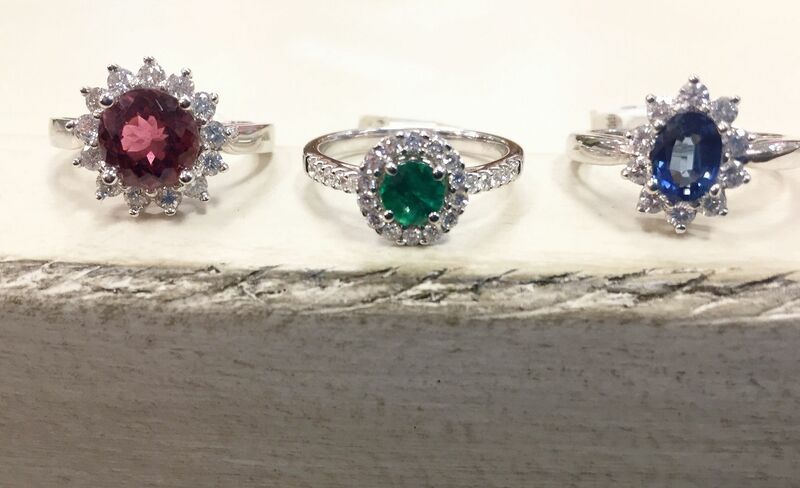 Lumina Gem’s exclusive line we made to give back to a local non-profit organization called DREAMS. Supporting the development of children with art classes. Prices are $65 to $325. 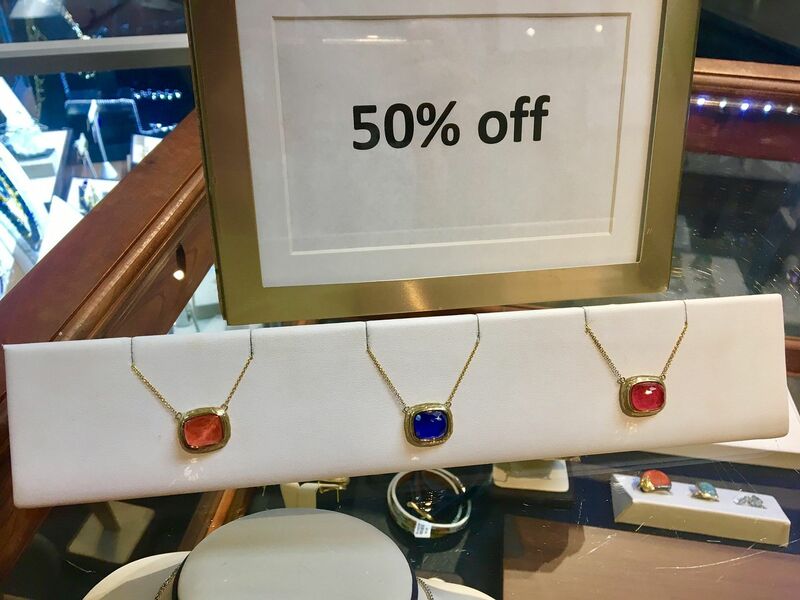 Tony Maccabi jewelry line is in the 50% OFF case. More fantastic finds in the 50% OFF case. Tourmaline and diamond 18kw gold ring, sale price $2,395. Emerald and diamond 18kw gold ring, sale price $1,125. Sapphire and diamond 18kw gold ring, sale price $2,295. Get this Raymond Mazza unique set for 50% OFF. Diamond 14ky gold ring $1,295. 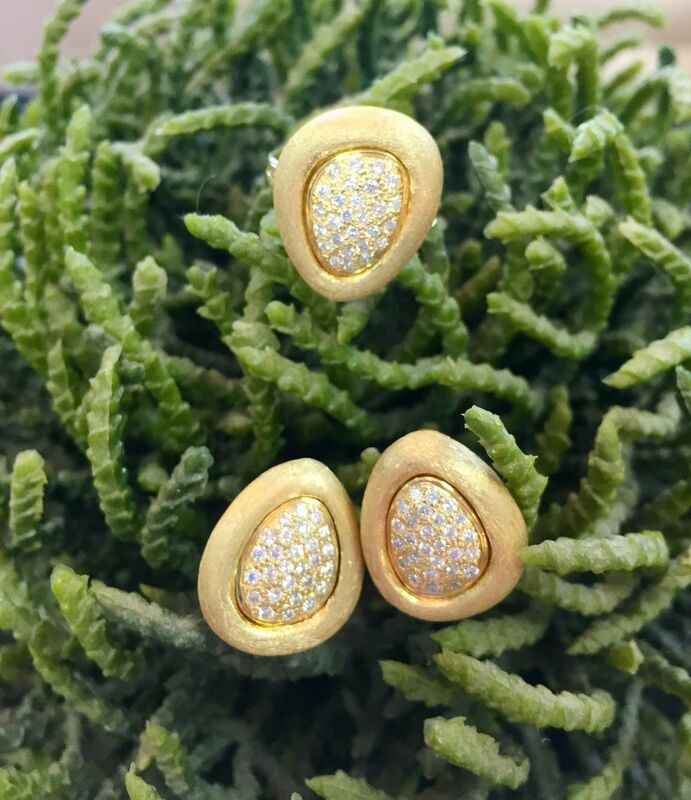 Diamond 14ky gold omega back earrings $2,385. Remember all pearl jewelry is on sale during the month of June. 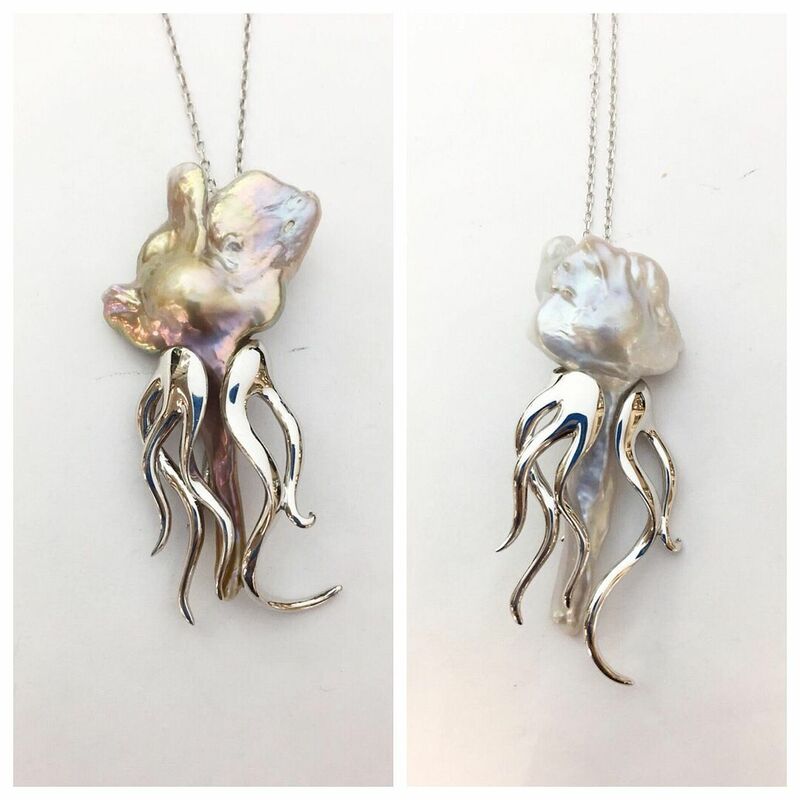 These jellyfish sterling silver blister pearls are only $215 each.